Automaker could have sold 'twice as many' in the U.S. 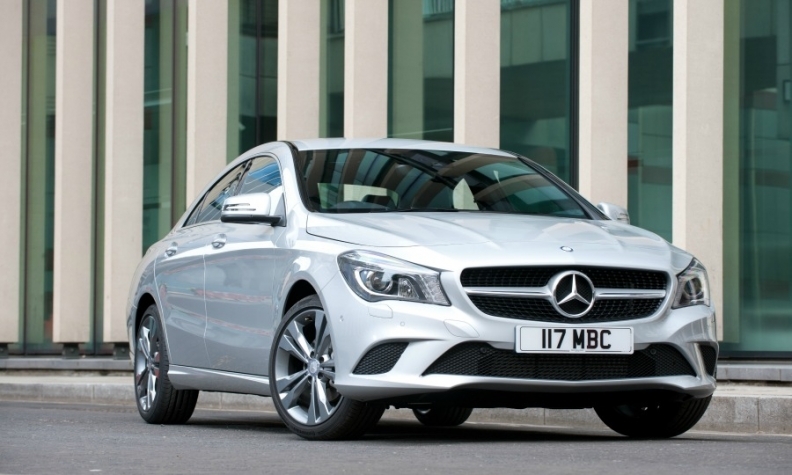 Global sales of Mercedes' compact vehicles, including the CLA sedan, pictured, rose 29 percent last month. VANCE, Alabama, USA -- Mercedes-Benz has increased production capacity for its CLA compact sedan in Hungary, aiming to alleviate tight supplies that have limited sales. The U.S. will get additional CLAs, but Dieter Zetsche, CEO of Mercedes' parent Daimler, said he couldn't give specific numbers. In an interview at a press event here, Zetsche said he expects "a positive reaction" to the increased allocation for the U.S., where Mercedes wants to increase compact vehicle sales. The CLA has been in tight supply in the United States since spring after the initial allocation sold out. Mercedes executives said that at times the supply of CLAs at dealerships dwindled to fewer than 10 days. Zetsche said he knew of the supply problems in the United States. "We could have sold twice as many vehicles, easily, compared to our planning," he said. Reaction to the CLA, which went on sale in the United States last September, went "beyond our optimistic expectations," Zetsche said. The Kecskemet, Hungary, factory where the CLA is made added a third shift of production in May. It made 109,266 cars last year and will also make the CLA Shooting Brake, a station wagon version. A spokesman said Mercedes-Benz USA has "no current plans" to sell the wagon. In the United States, Mercedes sold 14,113 CLAs in the four months it was on sale last year. U.S. sales through August were 15,676. Monthly sales hit a peak of 4,895 in October and slowed to 1,214 in May because of supply constraints. Demand may be just as high for the new GLA compact crossover, "but it's still the early days," Zetsche said. "Still, we do not want our customers to have to wait too much," he said. "Wherever we could, we pulled out all the stops."